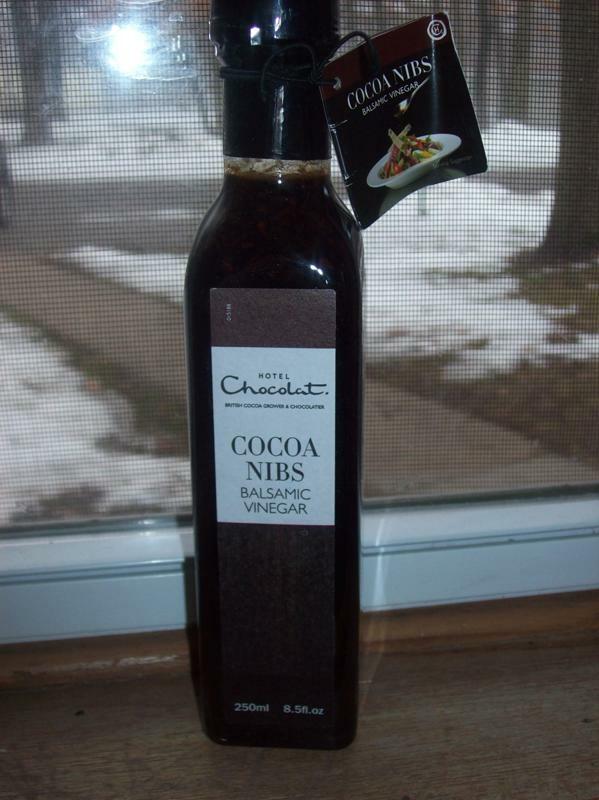 Have you ever heard of Cocoa Nibs Balsamic Vinegar? I have not so when I got the opportunity to review a product from Hotel Chocolat, this is what I chose. There are literally little tiny cocoa nibs in the vinegar! What did I think of it? I loved it! It is literally the taste of chocolate and balsamic vinegar, but without the sweetness. I think that this would be awesome on top of a salad with spinach, roasted nuts, and diced fruit. Of course most of the products that this company sells is actual chocolate but I wanted to try something completely unique. I have always been a HUGE balsamic vinegar fan and this takes the cake! If you are someone that loves chocolate, you can get your chocolate fix while being healthy. Following from the hop! Hope you will stop by ThreeBoys and follow along as well! 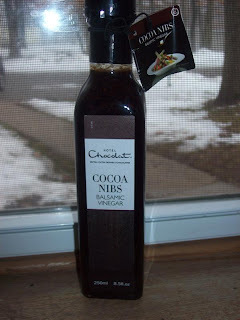 Not a fan of vinegar--but do love chocolate!! I'm following you back from the hop!! Hey there! I am happy to be following. I am follower #1602. I love your site! What a great concept. Balsamic Vinegar and chocolate what a great concept! Seriously, I will be back. lovin' the site! I posted my hubby's first youtube Exercise video. Kind of nervous for him. haha. We aren't that old, I promise! But youtube is just a foreign domain.